The EAi series are our most advanced and durable screens. The EAi series range features a commercial gauge screen surface. This thicker vinyl surface is also heavier and as such provides a flatter viewing surface. The extra thickness of the screen surface makes the EAi series the appropriate choice where durability and damage resistance is important. 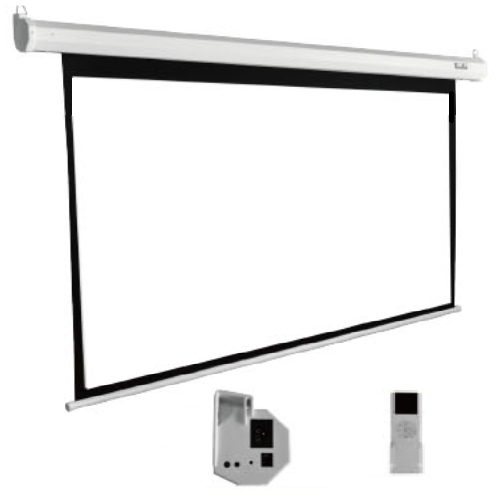 This screen is perfect for school halls,conference rooms, performance spaces or wherever there is a need for a large motorised screen. Screen surface (viewable area including 5cm border) area is 420cms by 263cms. The housing is slimline white and measures 12cms by 15cms. Overall width of screen including housing with motor is 447cms. 195" size refers to the diagonal of the screen surface expressed in inches. There is also a 25cm black leader at the top of the screen surface. The screen features a heavy duty metal case in white and a synchronous motor driving device which is free to stop at any position. This modern screen has an intelligent control system providing a number of control options. It connects to a normal power point. 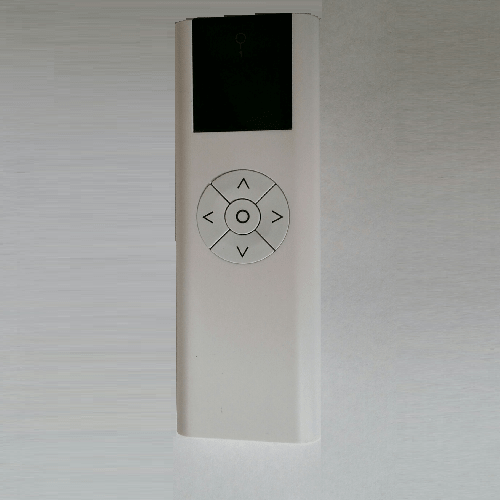 The screen includes a wireless wall switch and a RF wireless remote control. 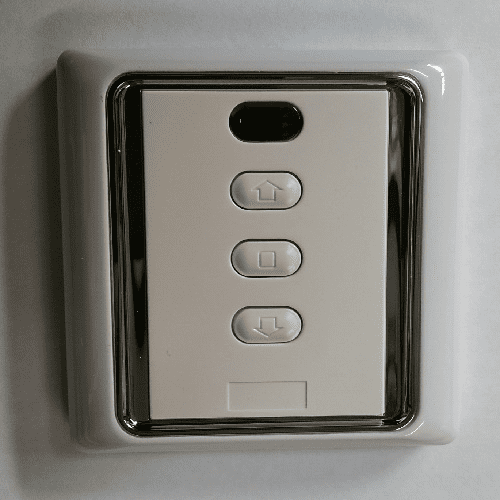 There are additional options for a remote screen trigger, infra Red remote and a wired wall switch. 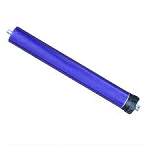 Suitable for wall and ceiling installation. Easy to Install - Normally only 4 screws required. The power point should be located on the left hand side of the screen when facing the screen.In many offices the power point may already exist above the ceiling tiles. The screen includes a mounting bracket built into each end of the housing. 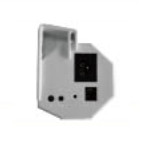 These brackets are used for both direct ceiling and direct wall mounting. Two screws at each end are used to secure the screen to the wall or ceiling. Optional wall mounts may be purchased to position the screen out from the wall in front of doors, windows or wall-mounted TV. NOW WITH 2 YEARS WARRANTY against defects in materials & workmanship. A further 2 year warranty (total 4 years) is available separately.